Bridgera’s Joydeep Misra and Ron Pascuzzi greeted attendees and networked with industry leaders at the RIoT IoT event at Raleigh Convention Center. 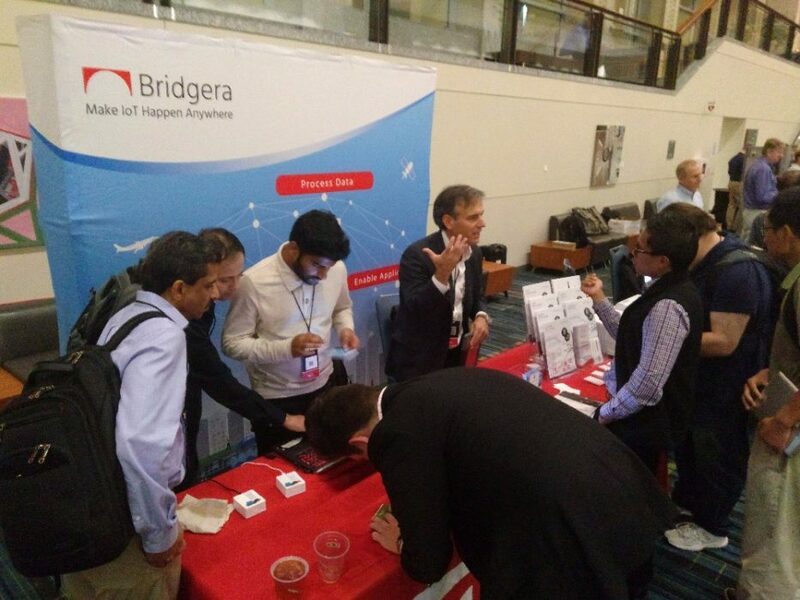 With over 65 demo exhibits representing capabilities that support the entire IoT echo system and over 1000 attendees walking the hall, Bridgera put Bridgera IoT on display and gave a preview of ConnectedLogic. Bridgera developers created a capability to quickly connect IoT devices to the Bridgera IoT platform with any internet protocol and data type combination. ConnectedLogic provides that same capability with a client consumable user interface which can be used for rapid prototyping and testing IoT devices. Be sure to check in with Bridgera on the release of this exciting new technology. Thanks to the RIoT team for another great IoT event!